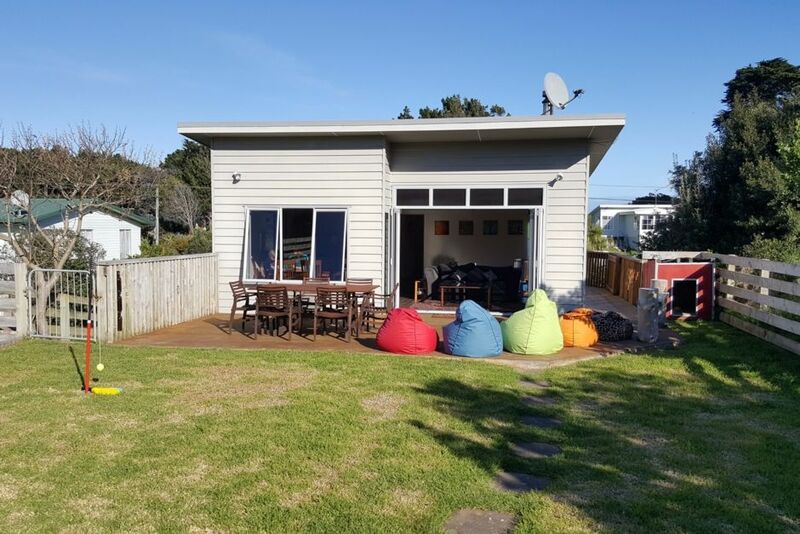 Come and enjoy a fantastic stay at the Seahorse Beach House in wonderful Waitarere Beach, the family friendly holiday destination within easy reach of Wellington - an ideal weekend or holiday getaway. Park your car up, you won’t need it, with everything within walking distance - beach, playground, tennis courts, forest walks, cycling trails, local cafes and shops. Lovely, modern beach house, with open plan kitchen/dining and lounge, leading to sunny private rear deck and fully fenced flat garden. Relax with a drink on the decks or enjoy a game of cricket or soccer or jump on the trampoline in the large front section. No smoking inside the beach house. Duvets, duvet covers and pillows are provided. The weather was perfect, the house had everything we needed, we did'nt miss TV at all. The bed was so comfortable ( your lucky I'm still not in it). One small thing would have liked the bedside lamps to have worked(no bulbs). Loved our weekend at Seahorse beach house. We were a group of 4 kids and 3 adults. The kids were kept entertained with the trampoline, playhouse, board games and duple. The decks are amazing and we switched between them depending on the time of the day and the sun. Will definitely be back! Lovely stay at the seahorse beach bach. Very well equipped bach with stuff to entertain the kids. Great location near the beach, domain and across from the cafe and four square. We will return. As always, a great place to stay!